It’s the bookmaker’s favourite day of the year. The day when everyone, from Aunt Edna to Grandpa Joe, will invest a few pounds on a horse running in the Grand National. Most backers will not have checked the form, will not know the jockey but will choose the horse on name alone. How does a horse get its name? Well, the system is quite similar to trade mark registration. 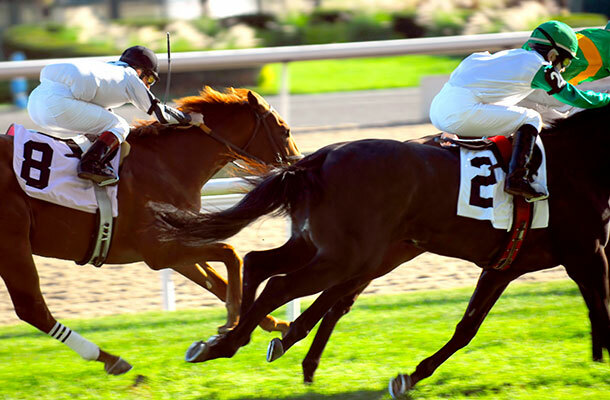 Horse names are regulated by the British Horseracing Authority. 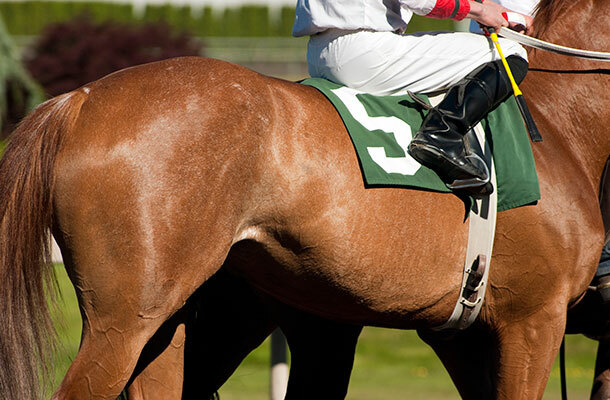 In order for a horse to be eligible to race under Rules or in Point-to-Points, they must be registered with a unique name. The name will remain with them for life. This is to distinguish each horse from others in a race and allows bloodlines and pedigrees to be easily traced. A horse name cannot be longer than 18 characters or seven syllables long. Like trade mark registration they should not be names that have a vulgar or obscene meaning. When you pull that folded up piece of paper from the envelope in the office sweep, you are likely to have a combination of words that run off the tongue. ‘Godsmejudge’, ‘Goonyella’ and ‘Shutthefrontdoor’ to name a few. Of course there is nothing stopping any of these names being registered as a trade mark, providing they meet the necessary criteria. ‘Redrum’, ‘Desert Orchid’ and ‘Frankel’ have been registered as trade marks for a wide variety of products and services. Not forgetting the name of the race ‘Grand National’ and the racecourse ‘Aintree’, which also have achieved registered trade mark status. Our free online trade mark search service allows you to search all this information from your pc or tablet. When choosing the name for your horse, just like your trade mark, other things need to be considered. Such as what will it sound like when the commentator is in full throw as the horses enter the final straight? ‘Noble locks’, ‘Hoof Hearted’ and ‘Wearthefoxhat’ can all sound different in the heat of the moment. It’s worth thinking about how your trade mark will sound, not just how it looks. Two horses were registered by ex-footballers Robbie Fowler and Steve Mcmanaman were ‘Some Horse’ and ‘Another Horse’. They don’t sound too strange but think of the commentary when they both ran in the same race. Some horse is leading and here comes another horse along the rails. Anyway, good luck! Make sure you bet and choose your trade marks responsibly.